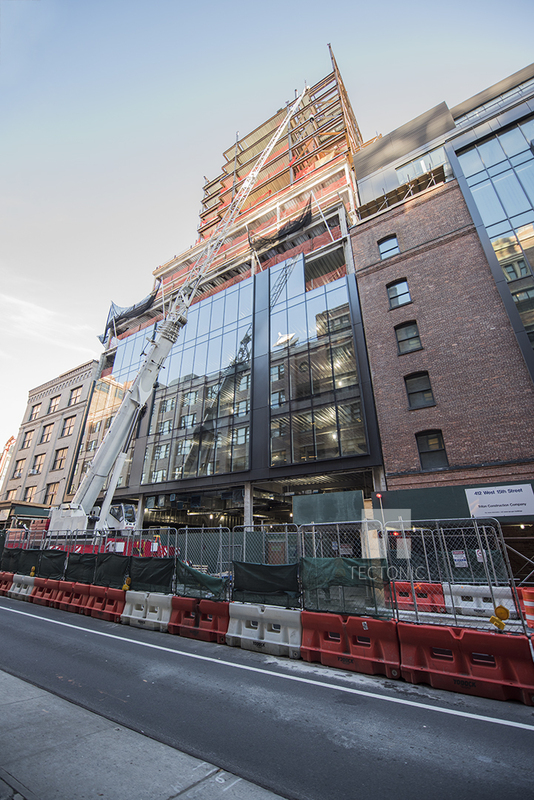 One of the largest new office projects in the Meatpacking District is finally taking shape. 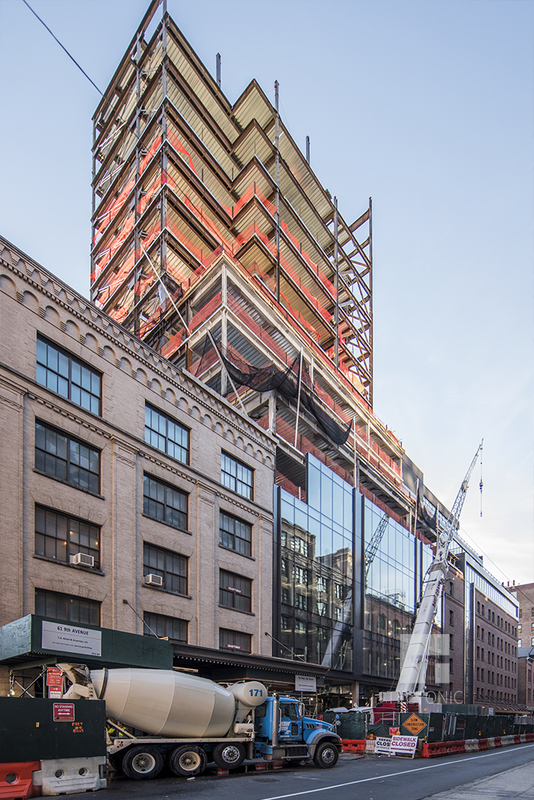 Rockpoint Group is knitting together historic warehouse buildings and new steel and glass at 412 West 15th Street, and photographer Tectonic has the latest on the site between Ninth and Tenth avenues. 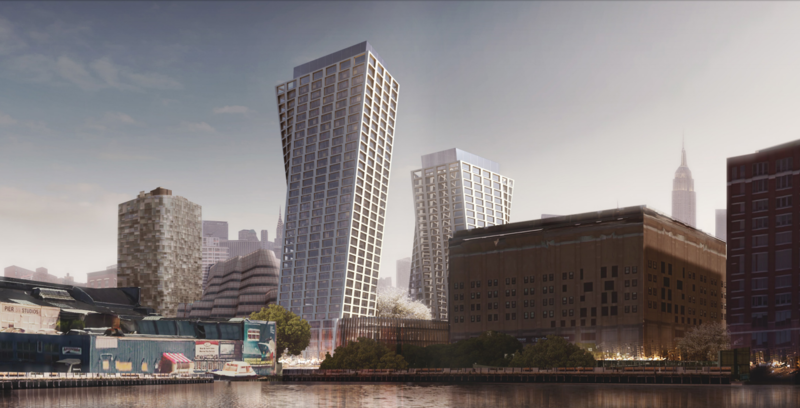 CetraRuddy is designing the project, which encompasses the new building on West 15th Street and two landmarked warehouses on West 14th. Steel for the office tower has reached 14 stories, and workers are putting glass panelling on four of the lower floors. The finished development will each 270 feet into the air and hold 108,469 square feet of commercial space. Ground floor retail will be topped by 17 stories of offices, plus setbacks that create terraces on the second, seventh, 10th, and 18th stories. 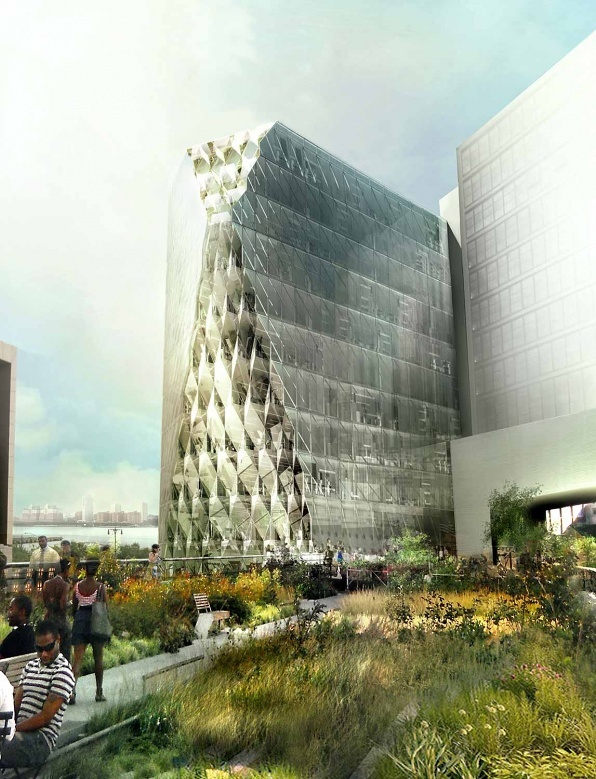 It’ll also connect to 85,000 square feet of office and retail space in the landmarked buildings on West 14th Street. 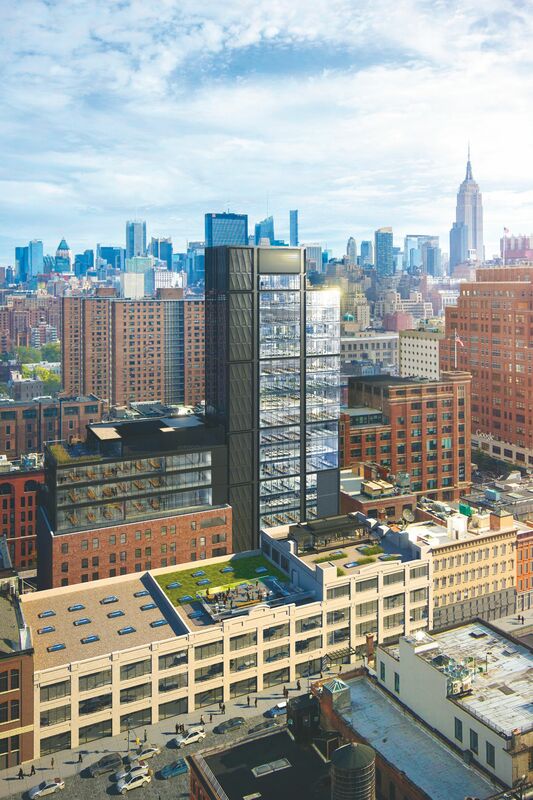 Rockpoint originally planned the project as a hotel, but demand for boutique office space in Meatpacking pushed the firm and its partners, the Meilman Family and Highgate Holdings, to reconsider. Rockpoint and Atlas Capital recently finished converting and expanding a six-story (now 10-story) warehouse next door at 430 West 15th Street. Data-mining company Palantir leased 77,300 square feet of offices there in 2014, shelling out somewhere in the range of $90 to $110 per square foot, the Post reported at the time. Back in February, Crains’ reported that offices at 412 West 15th Street could fetch rents as high as $150 a square foot. However, the developers may have to lower their ambitions a bit. The highest asking rent in high profile Midtown properties has dropped to $137 a square foot, reports the Post’s Steve Cuozzo. Hedge funds, which can afford to pay the highest commercial rents, have been leasing less space and agreeing to slightly lower rents than they did last year. 2 Comments on "18-Story Office Building Rises at 412 West 15th Street in Meatpacking District"
The structure is spending time for 18-story office building, I’m not to say complete because sidewalk closed.